If you are injured due to someone else’s negligence, it only makes sense that they be responsible for any medical costs you accrue. Even if you have insurance, such as auto or health, which may cover some of your expenses depending on the circumstances, medical care is very expensive. You should not have to bear that burden—a personal injury claim can ensure that doesn’t happen. Beyond the short-term care some injuries require, there may be lasting repercussions, pain and suffering. This may include ongoing medical care and rehabilitation, or a lasting disability that affects your ability to support yourself. If someone else is responsible for your injuries, they should be responsible for the expenses that will allow you to recover. If complete recovery is not possible and you suffer from lost wages, they may be liable for that as well. [copy] Personal injury claims provide added incentive for people and businesses to behave in ways that prevent accidents. For example, if a business is not held liable for dangerous situations, such as any icy front walk, there is less impetus to ensure the safety of their patrons. Personal injury cases can bring unsafe conditions to light so that they can be addressed, preventing future harm to others and benefiting us all. 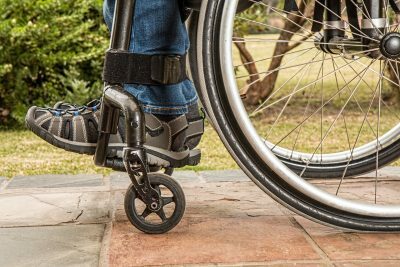 If you sustain injuries severe enough that you are unable to continue to earn a living, a personal injury claim can place the resulting financial burden where it belongs—with the person or business who caused the injury. Without this legal safety net, you would have to bear this loss of income alone, unfairly affecting your quality of life, or you would have to request government aid, placing the burden on all tax payers. Ethics are moral principles that require people to do the right things for the right reasons, but that’s not always enough. Personal injury claims can help ensure responsibility lands where it should. If you’ve been injured due to someone else’s negligence, you need an attorney who is experienced in this sometimes-complex legal specialty. Give us a call today.